Song writer, De Carlo has said that the only authorised version of ' I Am A Fan' is Pia Mia's version and not Phyno's . “Pia Mia’s version of ‘I’m a fan’ song is only version authorized” songwriter DeCarlo has said. The original songwriter of the controversial song ‘I am a fan’ is on the side of Pia Mia and not Phyno. Latest information on the controversial ‘I’m a fan’ single which was first released by Nigerian rapper, Phyno and later by US singer Pia Mia may be reaching a conclusion. 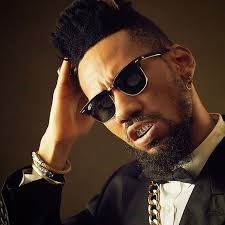 Phyno released a version of the song on his sophomore album “The Playmaker” in 2016, while US singer Pia Mia released a similar version of the record on May 26, 2017, in collaboration with R&B singer Jeremih. Upon the release of her version, Nigerians assumed that the singer illegally recreated Phyno’s record. DeCarlo however confirmed via his official Twitter account (@iAMDECARLO), that the only ‘authorised version’ is Pia Mia’s.